A lot of times, I thought of writing a blog but wasn’t sure on how and where to start.. I wasn’t really into writing..but I felt the need to give it a try and speak about life, friendships, of God‘s goodness, faithfulness, love, promises..His very nature…by opening up what’s in my heart..
And what a good way to start is… simply talk about how God moves in my life. Even on the simplest things.. there is an overflow of thanksgiving before the Lord. Being thankful in times of trials.. When my daughter Nicole got sick last September 2010 and was hospitalized.. she was critical due to a rare strain of dengue (dengue hemorrhagic fever stage3).. her platelet count went down to 15cc and she was in need of donors for 3 blood transfusions and we had a hard time looking for possible ones because of her rare blood type too. I was already panicking and I must admit..my faith was really put to test.. Things around us seemed so perfect.. things we’re all nice and we’re happy then suddenly I was in that position.. somehow I was caught off-guard. But then I was reminded, why waiver in faith?.. why doubt?.. I know my God.. and I just have to trust Him no matter what. A couple of times I prayed for sick people, laid my hands on them, asked for God’s healing.. for God’s favor… and now, it’s my daughter who needs her healing. He gave Nicole as a gift to us and I know that God has something good for her.. (Jeremiah 29:11) There we’re moments that I struggled.. especially when I get emotional.. but I know my God and I chose to be thankful amidst our situation. A couple of times my tears would just fall down and I need to cry in secret as Nicole asks me “is everything alright?” I know I need to be strong for her and make her feel secure.. that everything will turn out well.. that she’ll be okay and we’ll all go home.. because I know my God! … everything means..for every little thing.. even when things doesn’t seem to be in our right perspective.. give thanks... we need to be thankful even though circumstances seems hard for us… give thanks. 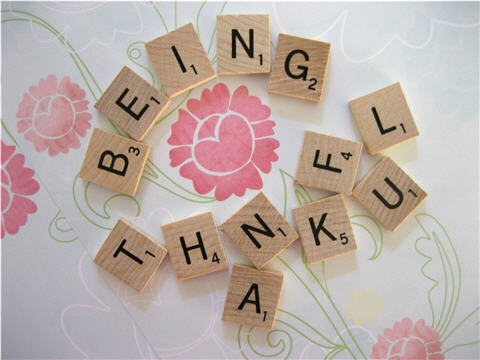 We need to be thankful for everything… even when Nicole got sick.. I claimed and thanked God for healing.. I chose to thank God for our time together, me having the opportunity to serve her, take good care of her, watch her sleep, help her get up, uplift her, love her and for every little thing that we can share even at that hard time of our life. I thanked God from the comfortable bed as I watch her regain her strength, for the airconditioned room… for the doctors and nurses, for the patient that she shares her room with, for an opportunity to bless others even through simple ways… for our pastors and church members who stood with us in prayer..for vgroup leaders, for family and friends who spends time to visit her, pray for her.. for blood donors whom we don’t even know about.. for every little thing that came our way during those times. We can never thank you all enough..
We thank God for those reasons..for every little thing that He showed Himself real to us and to our family… Hard time it may seem but I still chose to give thanks because I know He will never let us down.. He will not let us go through all of it alone.. He’s with us every step of the way..we praise the Lord.. for everything praise Him. now what’s on your list?